Get boil water notices and other important alerts that impact you directly through the Code Red Emergency Communication Network. Sign up for Boil Water Notices. Boil Water Notices – What are they? Boil Water Notices (BWN) are public advisories issued when the integrity of a water main is compromised and the possibility of pathogenic bacteria entering the potable water supply occurs. This happens most often when there is a water main break. The notices are precautionary only and are required by Sections 381.006 and 403.855-857 of the Florida Statute. The locations of Precautionary Boil Water Notifications can be viewed within our Boil Water Notice Map @ www.sjcfl.us/BWNMap. What do I do if I get a Boil Water Notice? Under a Precautionary Boil Water Notice, all water used for drinking, cooking, making ice, brushing teeth or washing dishes should be boiled first. A rolling boil of one minute is sufficient. As an alternative bottled water may be used. How long does the notice stay in effect? A Precautionary Boil Water Notice will remain in effect until lab tests show that the water is free of pathogenic bacteria and is safe to drink, which is typically a minimum of two days. At that time, a retraction notice is posted. Boil Water Notices – How is the public notified? A BWN is distributed to those residents and customers that are affected by the interruption of potable water service. The notice itself is either delivered through the local media (TV, newspapers, radio, etc. ), the use of door tags, the St. Johns County Utility Department's (SJCUD) Boil Water Notice Hotline (904) 209-2731, or the use of the Code Red System. Code Red System – What is that & why should I sign up? The St. Johns County Utility Department is now partnering with the St. Johns County Sheriff's Office to alert affected customers of Boil Water Notices through the use of the Code Red System (CRS). The CRS is used in St. Johns County to alert citizens through telephone calls, emails, and text messages about emergency issues (Amber Alerts, BWNs, etc.). The use of door tags to notify the public about BWNs is being phased out in favor of using the CRS. If you would like to be sure that you receive Boil Water Notice information through the Code Red System when it affects your area, sign up for Code Red Alerts. Is well and public water supply contamination caused by storms or flooding a concern? Yes. Severe weather, especially if accompanied by flooding, can contaminate the public water supply. Water treatment plants may not be operating or water lines may be contaminated. Listen for public announcements about the safety of the municipal water supply. Drinking contaminated water may cause illness. If your well has been flooded, it needs to be disinfected and tested after the storm passes and the floodwaters recede. Learn more about public and well water supply safety in storm and flood conditions. 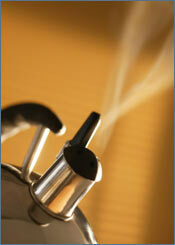 Get Boil Water Notice updates on the BWN & Emergency Hotline, (904) 209-2731. Learn more about Boil Water Notices during Hurricanes.